One of the Android team’s design engineers, Roman Nurik, released a new solo project of his to Google Play this evening. It’s called DashClock, and is a lock screen widget that can display a number of important items as you wake your phone, while still maintaining the simple Android 4.2 look and feel. Since it’s a lock screen widget, it only works on devices running Android 4.2+, which means only Nexus devices or those running the latest custom ROMS. 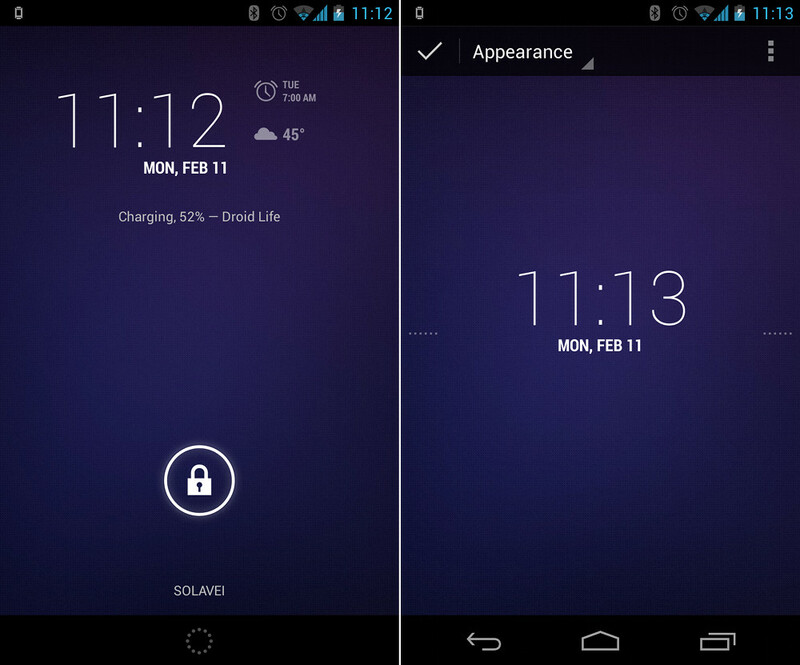 Inside the app, you’ll find a couple of different clock designs that can be swiped between through an “Appearance” tab. 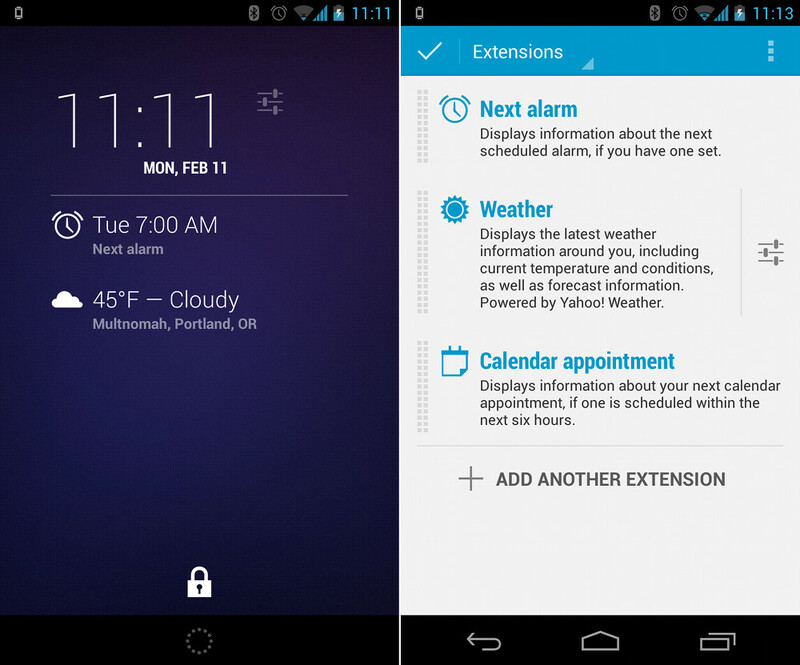 But most importantly, you’ll find “Extensions,” which are like add-ons to your lock screen that can show you current weather, when your next alarm is, upcoming calendar appointments, unread Gmail messages, missed calls, unread text messages, and more. You can add some, all, or none of the extensions – it’s completely up to you. It’s obvious that Roman is looking to push the app with the help of other developers, though. In his post for DashClock, he points out that the app is “extensible,” meaning the API is available for other developers to build in support for their apps, so that the lock screen widget can display an even greater amount of info. In just a few minutes with DashClock, I can tell you that I’m a fan. I love the minimal setup, and the thought that we’ll have more “Extensions” to add-on once developers have had time to build out support from their apps. Stay up-to-date with Droid Life on Twitter, Facebook, and Google+!